India has attracted people from time immemorial. It is home to one fifth of the world's population, the world's biggest mosaic of people groups, languages and cultures. Ethnic races such as Negritos, Austrics, Dravidians, Aryans and Syrians made their way to the subcontinent for a peaceful life. Kingdoms of the world -- the Dutch, the Portuguese, and the English made their colonies here. Migration, kingdoms, colonization, and industrialization formed diverse societies and communities. Information and communication technologies and modern day developments still alienate people, pushing them beyond fringes making them communities living in non-human conditions. 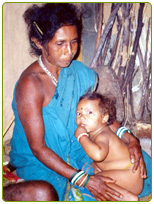 The Native Tribals on the hills are far away from development and access to be basic facilities of life. There are other Peoples on the Fringes of the society: the urban homeless and pavement dwellers live amongst us but still faraway from us. We have millions of people who are ‘no people’ having no bank account, ration card, an address or a doorpost to hold a number!. There are still other communities in stigma due to a sickness they are affected by or a job they are entangled. Get focused and prepare yourself for the glimpses of life. coverage of 10 real-life stories..